What happens after an installation of packaging machinery? Can I get Tech Support when and where I need it? In my own language? For Innova, the Customer Technical Support is a key Service in each of our packaging projects. Therefore, we have delegations in several countries in order to offer Technical Support with localized and personalized assistance. 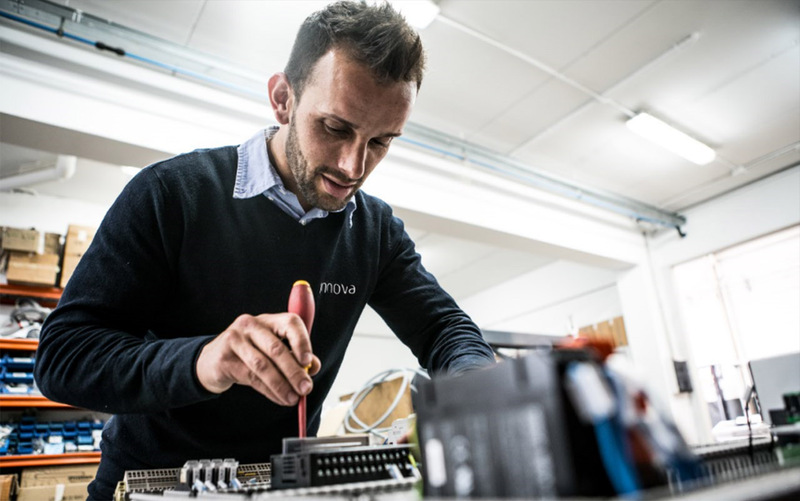 Innova Support was created not only with the objective of offering technical assistance, but to offer a complete program of preventive maintenance, remote motorization, diagnosis of incidents by remote control, spare parts stock and repairs at the customer’s facilities. At Innova, we aim to establish a long-term relationship that covers the entire life of the machinery and thus ensure optimal performance for our customers. Our Preventive Maintenance Program takes place throughout the whole year with the objective of ensuring the optimal performance of the installation and minimize future wear and tear or unexpected breakages. We provide periodic visits from our specialized technicians and diagnostic reports on the state of the machinery. Thanks to this service, our customer obtains full control and security of their equipment. Wherever our client is, Innova works to offer the best quality technical service. Therefore, we offer International support through our delegations in Latin America, together with our technical service in Spain. We offer technical service with a local technical team, stock of spare parts and preventive maintenance, and a continuous remote diagnosis from our headquarters. Innova offers Technical Support from our offices in Mexico City, Querétaro-Bajío and Monterrey, covering the whole country. Precisely the localized Customer Support is one of the main reasons for new companies who decide to trust in Innova year after year. 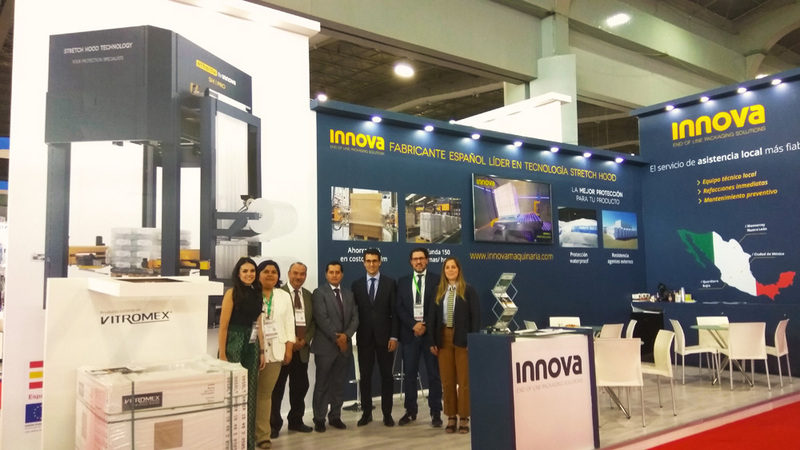 This was evident in the great welcome of Innova at the last Expo Pack in Mexico, where we presented our Local Support Service in Mexico. In addition to offering technical support and local spare parts, Innova also offers 360º Consultancy on packaging projects, via our staff in the country and our network of distributors. The Innova team at Expo Pack with representatives of our Eurotecsa and ACS distributors. 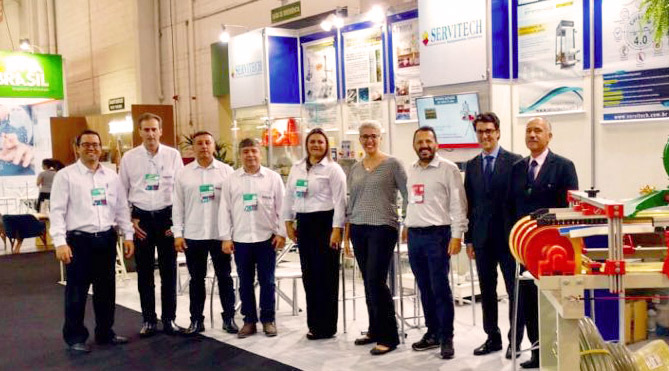 In Brazil, Innova offers local support via its local partner Servitech, with offices in São Paulo and Santa Caterina regions. Each Innova project carried out in Brazil has Support Service provided by technical staff specialized in Innova machinery. Via Servitech, Innova offers local repairs, spare parts service and preventive maintenance. In addition, our partner provides also a complete technical consultancy for packaging projects. Within Innova Support, we also offer technical training programs to our clients. We tailor our training according to the project and customer with the objective to train its technical staff in the operation of the installation. Thanks to this program, each client’s staff will obtain sufficient autonomy to resolve any possible minor incidence and maximize the performance of their equipment. In short, through the complete support service, Innova seeks to offer technical assistance and accompany the client throughout his project and life of the machinery, offering our proximity, trust, reliability and above all the professionalism of a Great Human Team.